Support The impressive scale of PN-HM851/HM751/HM651 monitors enhance in-store ambience while immersing viewers in realistic life-size images. Coming in three sizes—85" Class (84 9/16" diagonal), 75" Class (74 9/16" diagonal) and 65" Class (64 1/2" diagonal)—this versatile signage solution lets you easily create and deliver customized content. The PN-HM851/HM751/HM651 displays handle a range of signage needs, from simple set-ups to solutions for large networks of multiple monitors. 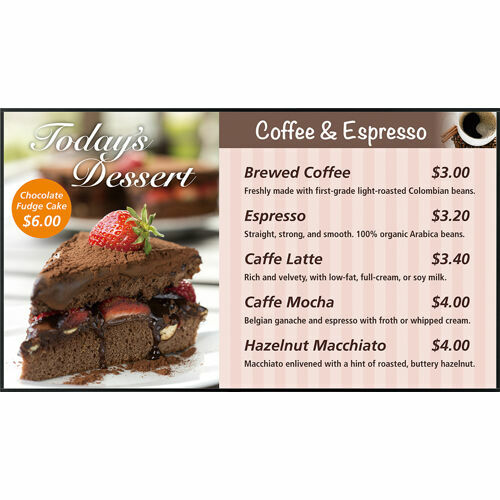 These durable and flexible monitors can work 24/7, supporting a wide range of signage needs. Whether installed in a shopping mall, transport hub, or conference hall, the PN-HM851/HM751/HM651 displays convey your message with overwhelming style and precision.